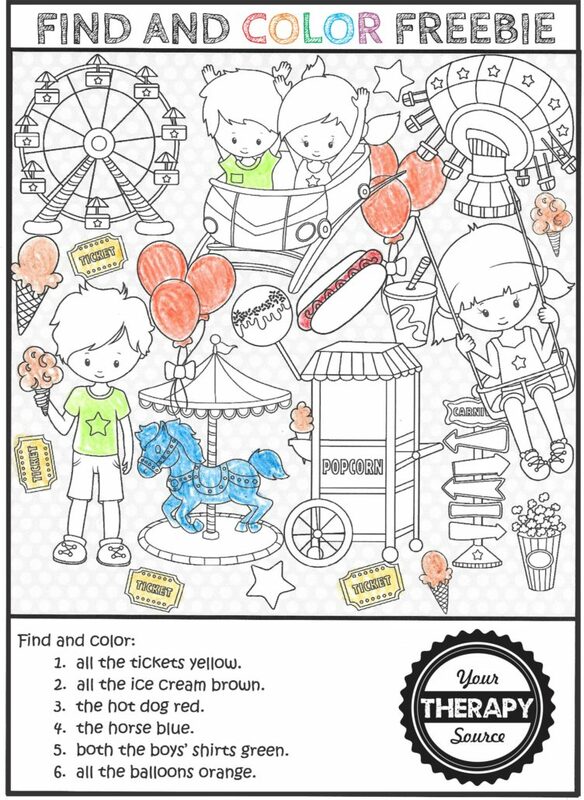 Keep the kids busy with this Amusement Park Find and Color activity. The object of the activity is to find the objects and color them the correct color. Quick, no prep and FREE! This is from the Find and Color instant download. 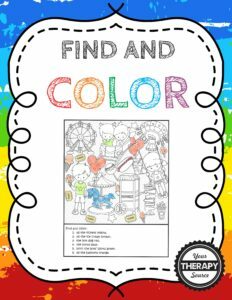 Get the complete Find and Color Packet – This download includes 15 visual discrimination and visual motor activities. Follow the directions to find and color the objects. There are various themes such as amusement park, circus, construction site, outdoor play, super heroes, puppies, monsters and more! All the pages are in black and white. Find out more!